​Saarah’s Henna is Wellingtons premier boutique henna service. Henna is a beautiful way to treat and express yourself, or to celebrate any occasion. 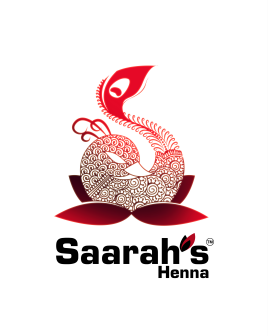 Saarah’s Henna is of the best quality, with over 10 years of professional experience. Saarah's Henna offers professional henna services in Wellington, New Zealand. We travel certain distances, although additional travel charges may apply. We offer a variety of services and cater to multiple occasions. Our services include: Bridal henna, engagements, personal appointments, showers, sangeets, parties for women and children, holidays, prenatal (pregnancy) belly, holidays, events, photo-shoots, graduations, and much more! Henna painted home decors: Saarah’s Henna also creates beautiful henna painted home decors in New Zealand. We apply henna paint to candles, votive glass candles, ceramic vases, canvases – making them a very unique gift for any occasion. 21 April · We flew Saarah up from Wellington to Auckland and Hamilton for our wedding festivities and she was very professional, flexible, punctual and easy to deal with. Her work was great, she was very popular with my family and friends. Strongly recommend.